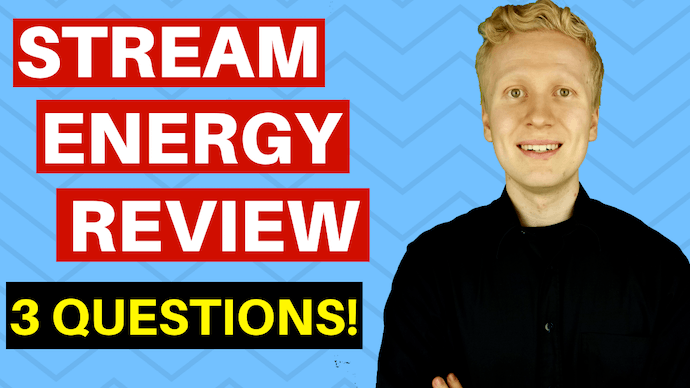 Summary: Stream Energy is a multi-level marketing company that focuses on selling energy products but they have also expanded to other industries. It's quite established company and certainly not a scam nor a pyramid scheme. However, succeeding with their company requires that you use the right strategies and you have tons of persistence or prior experience. Is Stream Energy Recommended? I'll go over this ​further. However, Stream Energy is not my #1 recommendation! Introduction: Easy Money By Selling Cheap Electricity? If you are thinking about joining Stream Energy, the chances are that some of their distributors has approached you and wants you to join the system. That's why I created this Stream Energy review to help you out and make an informed decision before buying into anything. In the end of this review, I'll reveal with you 3 crucial questions that you must ask yourself before starting out with this company. I am not affiliated with Stream Energy in any way so I will provide you only 100% unbiased information so you can make the decision yourself. We have published reviews of more than 100 similar MLM-companies like Stream Energy so we have seen everything what's happening with that business model. "This system will change your life so easily!" "Everyone who joins this becomes successful." "Just join us, the products will sell themselves because they are so good." "You don't need to know how to sell or recruit. This is almost like a done-for-you system." I have heard such claims from so many network marketers online. However, I am not myself part of any network marketing company because of their controversial reputation. On our site, you'll only find recommendations of 100% legitimate ways to make money online. If you desire to make money from home (online), I recommend reading my Ultimate Make Money Online Guide. It has been read by 10,000's of people worldwide already and I must admit that it is changing lives already. Stream Energy is a multi-level marketing (MLM) company that was founded in 2005 by Mark Schiro. At the beginning, the company focused on supplying its customers with affordable electricity and natural gas. However, as time went by, the company added other facilities that I will inform you later in this article. To gain more clients and customers, Stream Energy decided to adopt the infamous multi-level marketing system. Simply put, when you are part of a multi-level marketing company, you don't only make money by selling the products but mainly by recruiting more members to your downline. In this Stream Energy MLM review, I will focus on informing you whether this company provides the value for its customers and members as it claims. We have reviewed and published reviews of more than 100 MLM-companies so we're one of the leading experts on the subject. That being said, we're not part of MLM-companies mainly because of their controversial reputation. We only recommend 100% legitimate and transparent business opportunities. 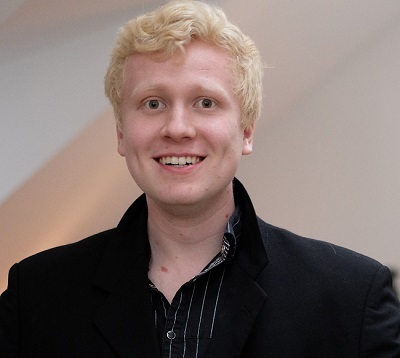 Is Stream Energy one of them? Read further to find out! Before looking at whether the company is legit or not, let us quickly look at some of its popular products. Stream energy provides various phone plans including Wi-Fi and data services to subscribers all over the United States of America. The phone plans are both for individuals and shared plans. This is the main service that Stream Energy provides. The service focuses on providing affordable electricity and natural gas to individuals in some parts of the country (not all states are eligible for this service). The protection services offered by this company is not limited. However, the most popular ones include credit monitoring, roadside assist, and medical covers. These include smart home services, digital voice services, and a smart thermostat. With these services, you can access and monitor your house from anywhere. The main of the services and products provided Stream Energy is to allow you to save some cash. The rates are charged monthly depending on your location. This is where it gets interesting. According to the company’s management, you can work as a “Sales Associate” provides you primarily with 2 ways of making money. 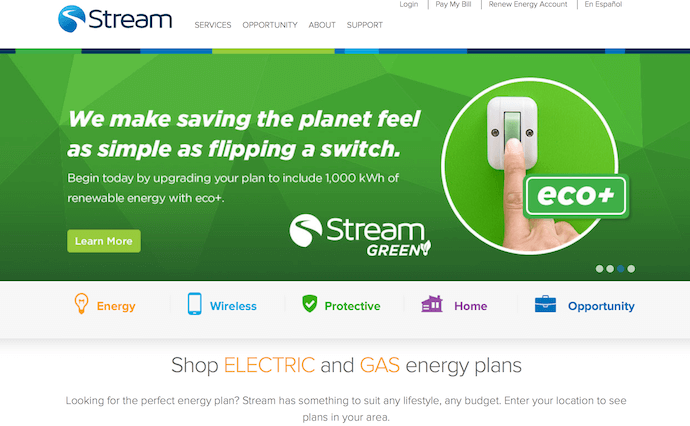 The first way involves urging and convincing new customers to sign for Stream Energy. The second method involves recruiting new members and earning commissions based on their sales and results out of their efforts. To inform you about the system and the compensation plan. To recruit you to their system. How To Make Money With Stream Energy? By enrolling the first 3 customers for any of the Stream Energy products make you become eligible to receive a monthly commission from each of your sales. However, the amount of commission that you get will depend on several factors including your location and whether the customers enrolled continue to use stream energy services. You can also create a website that will aim at promoting Stream Energy MLM services. Apparently, this is one of the best ways of making money from this company. For instance, with the website, you will get a $100 bonus the moment you enroll 3 new customers into the system. If the new customers remain active, you will receive a further $500 bonus not to mention your monthly commissions. In order to learn the BEST step-by-step strategy to make money with Stream Energy, I recommend clicking the button below to read my Ultimate Make Money Online Guide. Looking at the above requirements, you might think that making money on Stream Energy is easy and straightforward. However, the process is harder than you think. Basing on the feedbacks that I have gotten from people who have tried working with the company, they claim that it takes a long time to establish yourself on the platform. Not many people would like to join such a platform so it is hard to get new recruits, no recruits mean no money for you at the end of the month. Additionally, the company’s stats are not favorable. To get to the point quickly, only about 5% of the people working for the company will make it big based on our researchers. These figures are not favorable given that many people are looking for ways on how they can make money from home. The services provided by Stream Energy are somewhat different from what many other similar companies provide. This makes the company the best to some people. Ambit Energy is one of their competitors that also uses the multi-level marketing system. As compared to other similar companies, Stream Energy has a simpler compensation plan. No complicated "14 ways to get paid" systems. It's a quite well-established company. Stream Energy services are mainly available to people living in the United States only and even then, the services are not available in every state. Just like any other MLM company, most of the profits go to the people at the top while the lower ranked sales associates get peanuts. The company is only good if you are at the top. If you want to climb to the top, follow these steps to succeed. You need to recruit many people for you to make something big. Earning money from this company is not as easy as it may look on paper. It requires work as any other business. Is Stream Energy A Pyramid Scheme? Stream Energy is not a scam nor a pyramid scheme. They provide real products that provide some value to their customers. They are not dishonest even though some of their distributors may exaggerate the earning potential. I recommend studying all of their material and reviews from other people (see the next chapter) carefully before joining. As you may have noticed, to make it at Stream Energy, you have to put in a lot of hard work to rise high up the ranks so you can make some real money. Even then, the possibility of making it is about 1-5%. +95% of the network marketers fail and the main reason for that is that they don't know the right strategy to follow. 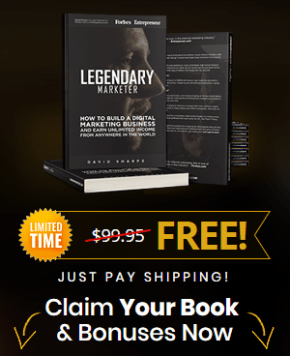 If you want to make BIG money by promoting other people's products (from home), check out my Ultimate Make Money Online Guide immediately. Below you will find links to 3 biggest and the most important review sites where you'll find tons of information from the people who have used their products and joined their business opportunity. When you're reading the reviews there, keep in mind that some of the members may write positively just to promote and sell the system more. And on the other hand, sometimes negative reviews tell more about the person that writes them than about the company itself. So, take all the reviews with a bit of grain of salt and pick what is helpful. A positive thing is that Stream Energy has an A+ rating on BBB (Better Business Bureau). I'm sure that by taking a quick look at those reviews, you'll get a more comprehensive picture about the company and working for them. But now, let's come to our last chapter and conclusion, "Should you join Stream Energy or not?" Read the last chapter to find out! Conclusion - Is Stream Energy Worth It? Do you think that Stream Energy products provide genuinely a great value? Do you have the right strategy to succeed? If you think that their products are great and you think you would enjoy promoting them, you can go for it. Just know that it will require tons of work and effort to succeed as it requires in any business. => Do NOT work well anymore. You need to have a better strategy and that's what I educate you and other people to do. 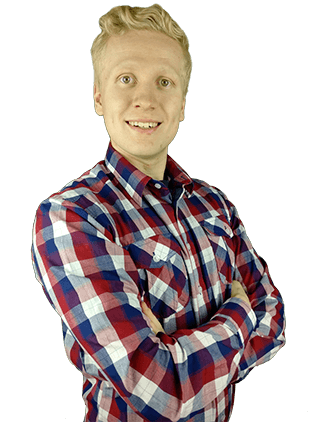 I've helped +3,000 individuals to get started making money online with more effective strategies. Actually, when you implement my 4-step formula, you don't even need to leave your home to make money. I've made today +$1,000 from my laptop and I could do this basically anywhere. Using PROVEN strategies, I have been able to make a nice income online, travel around the world (see below) and enjoy life. You can use the steps that I teach you for promoting Stream Energy or any other company that you want to promote. You can even promote your own products if you have them. Yes, you heard right. You can even make money by sending people to Amazon. Click here the button below to read my comprehensive +9,000-word guide to see how you can do it. NOTE: If you don't have time to read it now, Bookmark the page so you can come there again and share it with your friends who are also interested in making money online. What kind of experiences do you have with Stream Energy and other similar companies? Follow My Ultimate Guide To Make Money With (Or Without) Stream Energy!